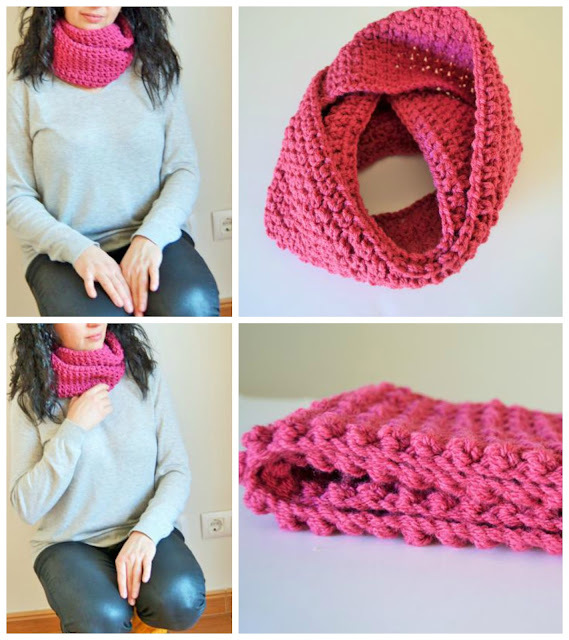 Today I will show a new crochet scarf. It is another gift. I have worked with 4mm crochet hook and yarn Stylecraft Special DK . I have worked with two skeins simultaneously. Many thanks my loved Photographer Carlota! Mom loves you so much ... !!!!! in this autum and winter, finally, today something different! I'm happy to present my first apron-blanket! ta-daaaah! if really exist a word like this apron-blanket. 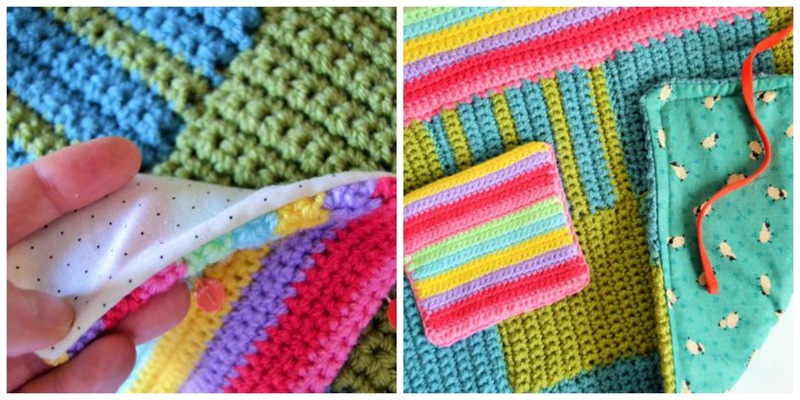 is sewed handmade over the apron's crochet squares. And today I discovered a song that I love it! It is already on my Spotify list! 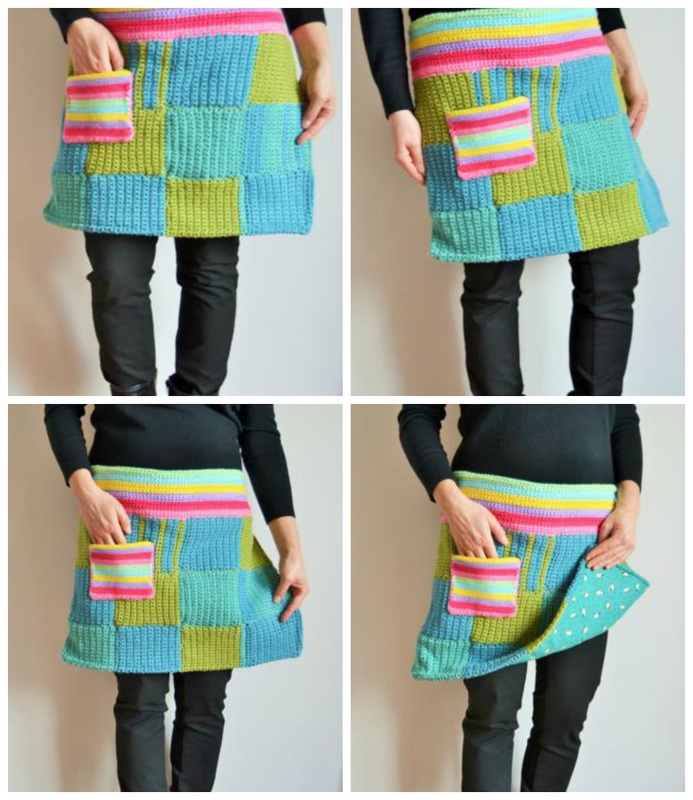 the apron is really clever!!!! brava Cristina!!!! qué chulo y original el mandil!!! so sweet, the photos from Carlota. I love the cowl too. I made one this week cuz i was cold and didn't have Exactly what I wanted. You are such an inspiration, Cristina, thank you. That apron blanket is brilliant, Christina, such great colors.